Download a pdf version or complete an online version at the bottom of this page.  Many friends of the SICSA Pet Adoption Center who choose to make charitable contributions by bequest to the Center also ask about the possibility of entrusting their pet(s) to the care of SICSA after their death. While SICSA’s first recommendation is to identify a trusted and willing friend or family member to care for your pet after your death, we recognize that this alternative is not always available. Therefore, the board and management of SICSA have adopted the following guidelines to help pet owners as they prepare their wills and consider their charitable giving. From the time the SICSA Pet Adoption Center first opened its doors in 1974, the Center has worked to help the community understand the unique connection between pets and their families. SICSA has also worked tirelessly to find lifelong, loving homes for animals which were unwanted or homeless. The Center has always had, and continues to have, a “no-kill” philosophy which ensures that healthy animals are never euthanized. The mission, policy and procedures of SICSA’s placement program reflect the belief that perpetual kenneling is not a suitable fate for an animal that has been living in a home. Pets are accepted by the Center with the understanding that every effort will be made to place the animal in a new home as quickly as possible. SICSA’s Adoption program is known for its commitment to do everything possible to match a pet’s personality and physical requirements with an adoptive family’s lifestyle, needs and space. Because SICSA is continually faced with an inexhaustible supply of orphaned animals needing new homes through its adoption program, owners wishing to surrender their pets generally must wait a few months before space is available. In recognition of donors who make charitable bequests or provide irrevocable trusts to SICSA, we will waive the usual waiting period, providing that pets meet the Center’s general adoption criteria. SICSA’s adoption program is limited to cats and dogs. Be sure that your pet is current on all of its required vaccinations and have veterinary records kept with your other important papers. Each animal SICSA offers for adoption must be in excellent health and neutered/spayed before going to a new home. SICSA provides physical examinations, vaccinations and neutering/spaying for its adoptable animals, but to keep costs down for both the Center and the adoptive family, you are urged to take care of these requirements before your pet comes to us. For more expedient adoptions, animals should be in stable health with no chronic medical problems and they must be of non-aggressive good temperament. Special exceptions will be considered. It is SICSA’s belief that dogs and cats belong in a loving home and not in a kennel. Therefore, all animals bequeathed to the Center will be put up for adoption. Rest assured, SICSA’s Adoptions Program goes the extra distance to match a pet’s temperament and requirements with an adoptive family’s lifestyle. Animals who are taken from their own homes sometimes suffer from stress and anxiety. The staff and volunteers of the Center make every effort to alleviate these problems through personal attention, grooming, exercise and socialization techniques. In every instance, SICSA considers what is best for the animals. For this reason, the Center will keep animals only as long as they are physically and mentally healthy. If the animal(s) start to significantly deteriorate in body or spirit, euthanasia must be considered. This happens very rarely at the SICSA Animal Adoption Center. Last year more than 1,600 animals were placed through the Center’s adoption program which represents a 99% placement rate. The decision to put an animal to sleep at the Center rests solely with the staff of the SICSA Animal Adoption Center. Pets with special medical or behavioral requirements will require an additional donation. SICSA’s adoption program is not one where animals are simply placed in the first available home. Every step is taken to ensure that each adoption is a permanent match. If you wish to make SICSA the guardian of your dog or cat, please take care to complete the following steps to ensure your pet’s smooth and successful transition into a new situation. Ask your attorney to state specifically in your will that you wish to entrust your pet to the SICSA Pet Adoption Center. Inform the executor of your estate, family members, and/or friends that you wish to have your pet cared for by the Center so that the transfer of your pet can be accomplished as soon as possible. Complete the Pet Guardian Questionnaire form, available from the Center’s Administration Office (937) 294-6505 extension 40, place it on file with your will and send a copy to the SICSA Pet Adoption Center, 2600 Wilmington Pike Kettering, Ohio 45419. This form provides the Center with important information about your pet’s name, medical history, lifestyle, preferences, and behavioral characteristics that will help staff find the best possible match with a new family. I give to the SICSA Animal Adoption Center, a non-profit, Ohio corporation, currently located at 2600 Wilmington Pike, Kettering, OH, the sum of _____ dollars (or, if insurance policies, land or other property, please describe). This gift is unrestricted, and may be designated at the discretion of the board of directors. NOTE: If you wish to restrict the gift to a program or service please do not be overly specific, as some programs change in response to current needs. When your will and Guardianship Questionnaire are complete, please notify SICSA in writing of your plans. It will help the Center to better serve you if you include a copy of the Guardianship Questionnaire with your letter. This will assure that the Center has current information about your pet on file when he/she comes to us. Please direct your correspondence to: Nora Vondrell, Executive Director, SICSA Pet Adoption Center 2600 Wilmington Pike, Kettering, OH 45419. If you have questions or would like additional information on charitable giving by bequest, or on SICSA’s adoption program, please call the Executive Director at (937) 294-6505 extension 40 or fill out a quick contact form here to email us. Thank you for thinking of the long-term needs of your animal and the SICSA Pet Adoption Center.